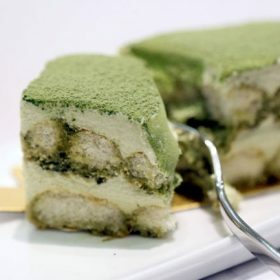 Pistachio Tiramisu Recipe - This Recipe is to Try it Out! Well, that didn’t take us long. We spoke a while back about the best authentic Italian Tiramisu recipe –and we lied. Sort of. 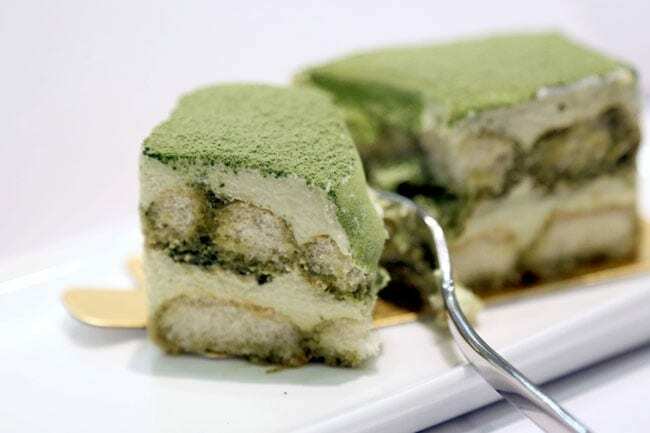 While The first one had the zabaione surprise, while this this one is a bit more uncommon–it’s a pistachio tiramisu recipe! And why not? It’s green! It’s even festive, we might add, thus making it a perfect Christmas season dessert. Not that Tiramisu isn’t perfect for any season anyway. Very much like Cannoli, you don’t need a reason to prepare an authentic Italian Tiramisu recipe. You just print it out and go to your kitchen…and then enjoy, before everybody else storms in to grab a slice. After all, the unmistakable aroma of coffee is an instant invitation to grab a dessert spoon. And pistachios, apart from the intense green color, give a distinctive flavor even when combined with this classic dessert. Curious to see just how unique the taste is? This is a fun and tasty version of the classic Tiramisu recipe which will use pistachios. To prepare this pistachio Tiramisu recipe, you first place the pistachios in a mixer, until they turn into a powder. Pour the sesame oil little by little and continue to whisk until the texture becomes creamy. It is important to add the sesame oil little by little until achieving a creamy consistency. If you don’t have sesame oil available, you can use sunflower oil as well. Prepare coffee with a coffee maker and let it cool. Pour water in a saucepan with a thick bottom, and boil it with sugar. It’s recommended to monitor the temperature using a food thermometer, because when the temperature reaches 115 °C (239 F), start to beat the egg yolks using a mixer. When the syrup reaches 121 °C (249.8 F), remove the saucepan from heat and pour it into the bowl where you placed your egg yolks. Continue beating at low speed, until the mixture has cooled, and has a clear and foamy texture. It will take about 10-12 minutes for the syrup to cool. At this point add the mascarpone cheese and continue beating the egg yolks with the other ingredients. Finally, add the pistachio cream, while still mixing all the other ingredients in the bowl, otherwise they won’t blend properly. Divide the ladyfingers in half. Pour the coffee from the coffee maker in a wide bowl, then temper it with 30 ml of water at room temperature. Use 4 cups of 140 ml to serve the tiramisu. Use a pastry bag to create a first layer of cream. Dip the two halves of ladyfingers in the coffee mix, then put them inside the cup, over the first layer. For the second layer, continue adding the cream with the pastry bag. Sprinkle the surface with cocoa powder, then add another layer of ladyfingers, followed by another layer of cream. Finish it off by sprinkling it with cocoa powder and chopped pistachios. The dessert needs to be kept in the refrigerator for at least 2 hours before serving. 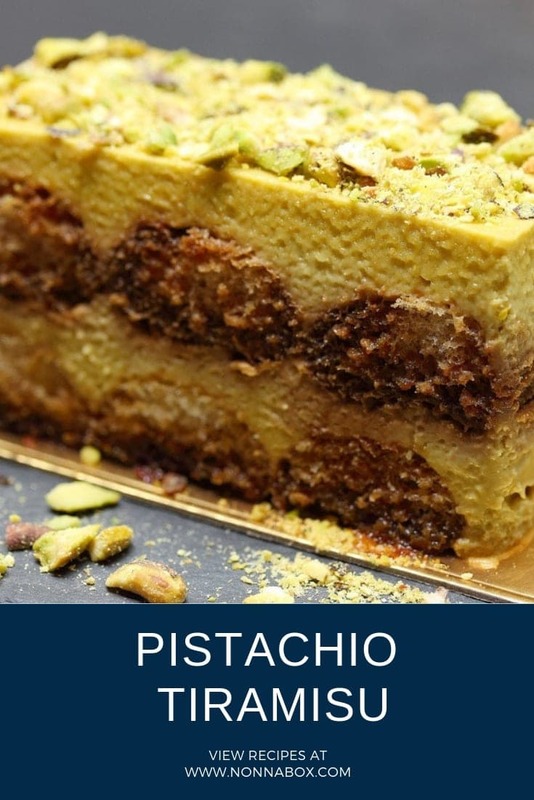 Pistachio and Tiramisu in one recipe? This will make you feel like you are in cloud 9!